Handcrafted Swiss hand puppet. 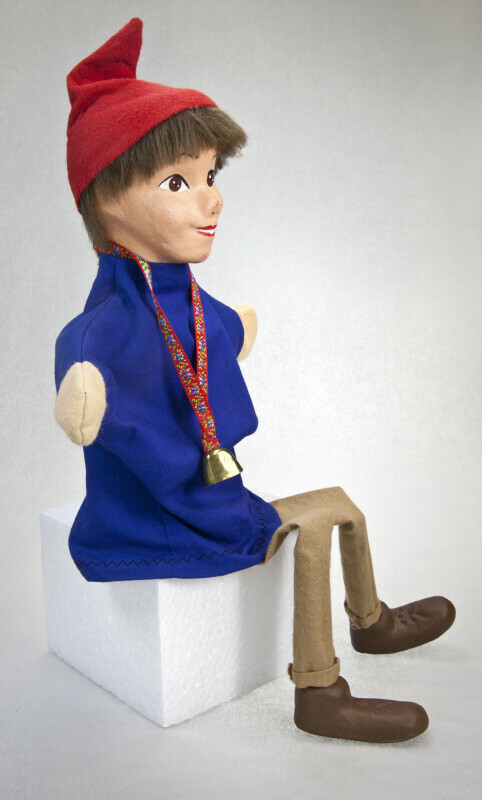 The hands and hat are made from felt, and the head is composite. He is wearing cotton khaki pants, and he has a bell on a ribbon around his neck. The tag says "JODECA AG, 8003 Zurich, Switzerland." This figure stands 16 inches (41 cm) tall. WARNING: You are about to download a 20.9 MB TIFF!